Happy Friday, everyone! I've spent the last week dealing with a very persistent leaky roof/window issue that I've had for the past oh, I don't know, three years or so, and I was feeling a little down in the dumps about, well, the dump that I call my home, when I got an e-mail from Clementine Derodit about her new cookbook that instantly cheered me up! 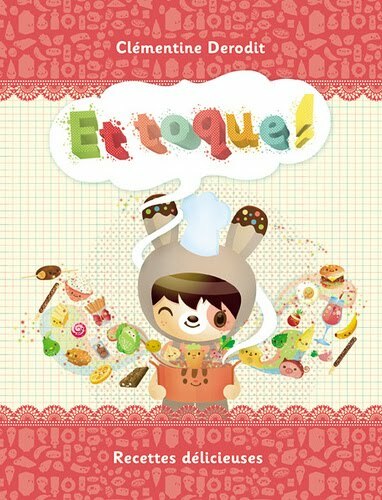 I can't think of better cure for an annoying water drip then looking at the delicious food and sweet illustrations that fill the pages of Clementine cute book, Et togue! 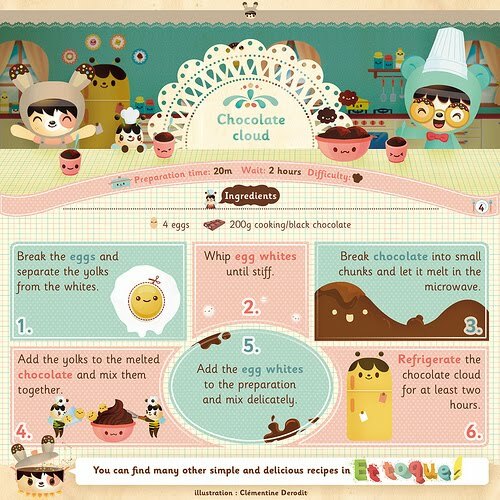 Based in France, illustrator Clementine has created a wonderful recipe book for children that is filled with a cast of adorable characters and includes intriguing recipe titles like "pirate's soup" and "tyrannosaurus poo." 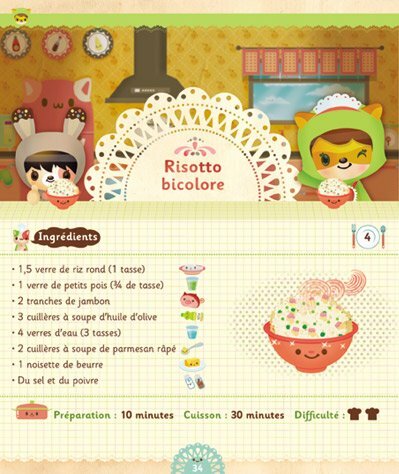 Personally, I'm loving the page for "Risotto bicolore." Risotto has never looked more fun! You can order a copy of the book right here and check out the Et togue Web site right here. To see more of Clementine's work click here. Thanks, Clementine! What an absolutely adorable book! Thanks for sharing it. And don't feel depressed if you live in a place that's not quite up to your liking yet. We all go through that. Plus, it makes getting the place you really like all the more special. You appreciate it more as a result.